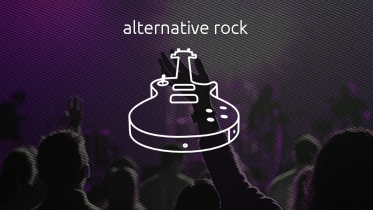 Alternative rock (also called alternative music, alt-rock or simply alternative) is a genre of rock music. Alternative Rock emerged from the independent music underground of the 1980s and became widely popular in the 1990s and 2000s. In this instance, the word “alternative” refers to the genre’s distinction from mainstream rock music. The term’s original meaning was broader, referring to a generation of musicians unified by their collective debt to either the musical style or simply the independent, D.I.Y. ethos of punk rock, which in the late 1970s laid the groundwork for alternative music.